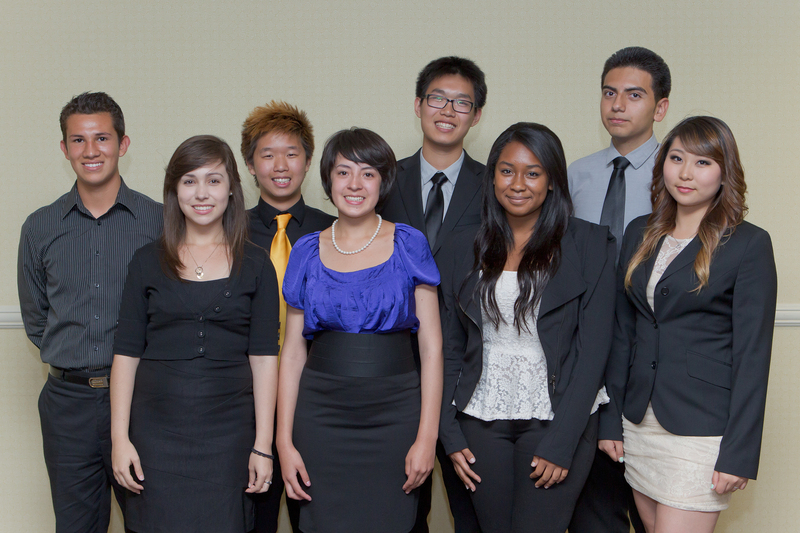 WOODLAND HILLS, Calif., June 6, 2012 -- Northrop Grumman Corporation's (NYSE:NOC) Woodland Hills facility recently sponsored a student competition focused on engineering to mark the conclusion of the seventh year of its Worthwhile to Help High School Youth (WORTHY) mentoring and scholarship program. WORTHY is an integral component of the Northrop Grumman High School Involvement Partnership (HIP) programming that assists high school students with career awareness and development goals. The Woodland Hills facility's WORTHY program began in 2005 and encourages students to pursue technical degrees. The program provides on-the-job experience for local high school students, including one day per month working with two Northrop Grumman employee mentors on an engineering and design project. 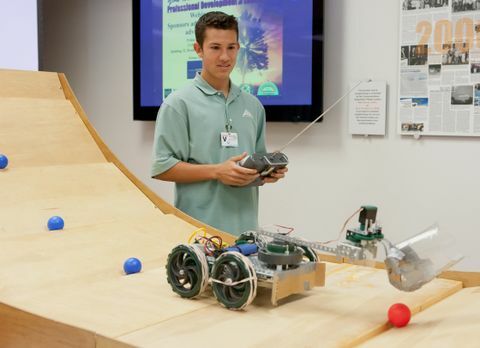 The WORTHY program concluded for the year on May 17 when eight students from Canoga Park High School of Canoga Park, Calif., participated in a competition using robotic vehicles designed to race through obstacle courses. First-year students used VEX remote-controlled vehicles to traverse a U-shaped course, while second-year students competed with LEGO vehicles that were programmed to autonomously navigate the course within an allotted time limit. High school faculty and Northrop Grumman employees cheered on the students as they demonstrated the engineering principles and collaboration skills gained during the mentoring program. On May 24, the WORTHY students and their parents joined Northrop Grumman employees for an awards banquet where the students gave presentations about their projects and celebrated their accomplishments. Four students were high school seniors who graduated from the program after completing their second year, while four others concluded their first year. Initially launched in 1998 by Northrop Grumman in Baltimore, the WORTHY program has expanded to include additional company locations. To be accepted into the Woodland Hills WORTHY program, high school sophomores must attend a Northrop Grumman-partnered public high school, maintain a 3.0+ grade point average, complete an application, submit an essay with two letters of recommendation and be selected through an interview process. The program runs during the school year and requires a minimum two-year commitment.